KENTUCKY LIABILITY RELIEF - BJAAM Environmental Inc.
BJAAM Environmental, Inc. assists clients in navigating the The Kentucky Brownfield Redevelopment Program, who seeks to help redevelop and revitalize properties that are abandoned or underutilized due to real or perceived contamination. 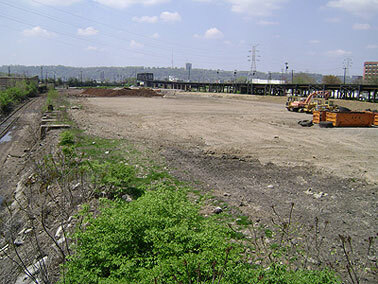 There are an estimated 8,000 brownfields across the state of Kentucky. They include sites such as old gas stations, mine-scarred lands, abandoned factories, old schools and hospitals and other blighted properties. Our program offers comprehensive services to help with these problem properties. In 2012, the Kentucky Brownfield Redevelopment Program was granted funds from the U.S. Environmental Protection Agency (EPA) to establish a revolving loan fund for brownfield cleanups in Kentucky. The program has established the Cleaner Commonwealth Fund (CCF) to help public entities and nonprofits address pollutants at brownfield properties. There are two pools of money in the Cleaner Commonwealth Fund. A portion of the funds is designated as grant funding, and the other portion is for no-interest or low- interest loans. Site eligibility closely follows federal EPA brownfield grant requirements. Properties purchased by an entity that adhered to the All Appropriate Inquiries (AAI) assessment rules and had an AAI performed no longer than six months prior to purchase of the property are potentially eligible for funding.